We now know from the page on The Biblical Calender, how the times of the Feasts of YHWH (Feast ="ordinance, memorial, appointed statute/time") are to be calculated, and we know that they are important to Him. But by whom? You may say to yourself, "They are Old Testament feasts" or, "They are Jewish feasts ...and therefore I am exempt!" If you read Leviticus 23:1-5 you will find written there, that they are not 'Jewish' or 'only Old Testament.' On the contrary, they are "The Feasts of YHWH." In the first Century after Yahshua's resurrection, there was of course, no 'Gentile' church as such, and no 'New' Testament, and all believers in Yahshua, both Jew and 'adopted' Gentile were probably known as another group or sect of Jews of which there were many. Although there is no commandment for the Gentiles to keep the Feasts, they were doing so in fellowship with their Jewish brothers and in compliance with Old Covenant Scriptures, there being no other instruction regarding these issues available. So today, Gentiles who have a desire to experience celebrating in the light of how Yahshua/Jesus has, in a large part, fulfilled them, it is acceptable. Yes, more than that. There are so very many 'types' found in the story of Passover, which believing Gentiles are able to 'glean' such wonderful truths about their Saviour that they find that they are a joy to observe. Gentiles who feel that they have been made a part of Israel through adoption and by being 'grafted in' so to speak, may rejoice in the Passover story. For example, how a lamb (Yahshua) was slain for the redemption of Yahweh's/God's people, how He brought them through the Red Sea (baptism) and to the promised land! 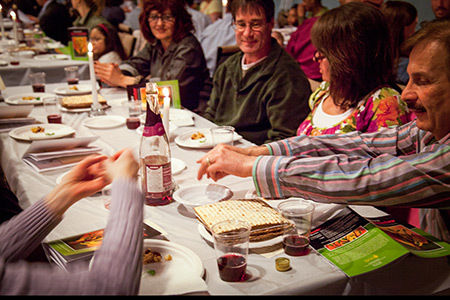 How Jew and Gentile are able to celebrate the wonderful truths so evident in the Feasts. Paul himself states when speaking to the Corinthians (Gentiles) in 1 Corinthians 5:8 "...therefore let us keep the Feast..." (Passover and Unleavened Bread) So, we can gather that this was acceptable and expected. There are many in our generation all over the world, circumcised in heart, (Col. 2:10-11) who desire to experience the Feasts of Yahweh and find great joy in doing so. JUDAH, THE FAITHFUL TRIBE has kept The Feasts throughout their generations, and are an example to us all. IN THE WILDERNESS Israel was instructed to keep the Feasts in the wilderness, see Numbers Ch.9:3-5, they were also kept in the Promised Land when they first arrived, and throughout their generations up to the times of the exiles. See Joshua Ch.5:10 &11. AFTER THE EXILE The tribe of Judah kept the Feasts some time after the captivity, when, through the decree of Darius many were allowed to return to rebuild the temple. Ezra Ch. 6:19. During the times of the Kings Israel kept the Feasts periodically, and today Jewish people all over the world s till observe them.It is interesting that not only Israelites kept the Feast days. KEPT BY STRANGERS No, circumcised strangers and servants, all who were part of an Israelite household i.e. slaves, servants and strangers staying with them were also expected to do so. See Exodus Ch.12:44, & amp; 48. (c.p. Colossians Ch. 2:10-11.) YAHSHUA KEPT THEM Yahshua Himself and His disciples kept the Feast days, See John Ch.2:13, and Matthew Ch.26:17-19 and so also did the early "Church". (Incidentally, at that time and for quite a time after the Resurrection, the early believers were identified as just being another sect of Jews who followed the Rabbi, Yahshua) There are many other incidences recorded in the Gospels, Acts and also the Letters, to support this truth. WHO SHOULD OBSERVE THEM? These are Feasts of YHWH, and His people are expected to observe them. The scriptures declare they are to be kept in the land of Israel, but there are examples where Paul either for convenience or necessity observed them in other areas, such as Philippi. 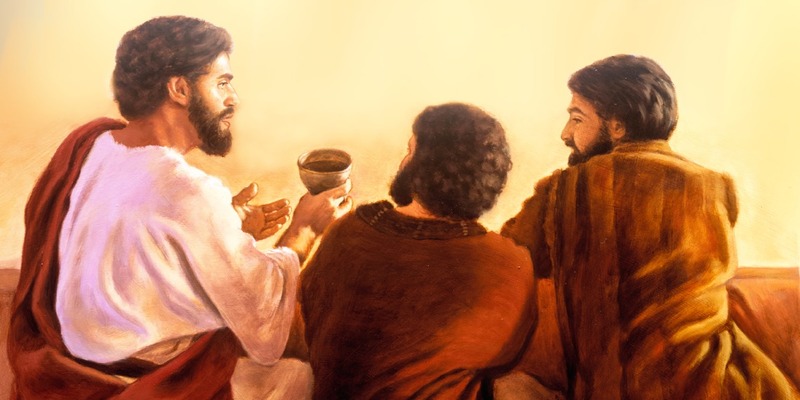 (Acts 20:6)The three main Feasts are mentioned in many scriptures. One of the main ones being Leviticus 23. Other examples include Deut. 16:2, Ch.16:16, and later in Zechariah Ch.14:1-3,12,16-19 where the scriptures foretell that one day, Jew and Gentile alike will all be making our journey annually to Jerusalem to keep the Feast of Tabernacles. WHAT ABOUT GENTILE BELIEVERS? In Ephesians Ch.2:4-6, the scriptures state clearly that YHWH has opened the door of the Commonwealth of Israel to believing Gentiles. They were strangers, who have been brought "nigh" Read v.13. In 1.Corinthians Ch.5:7-8 Yahshua is mentioned as our Passover Lamb. Note: Some believers may interject here, "What about Galations, doesn't Paul declare our freedom from Biblical Feasts?" Follow this link MADE ONE WITH ISRAEL In Ephesians Ch.2:14,16-19 it is stated that Gentiles become one with believing Israel, so much so that 'one body' is mentioned in Ch.3:1-6, and v.29 mentions ourFather, Abraham. Here are scriptures which mention the time of 'green ears' as being the time of Passover. Exodus 12:1&2 "This month shall be the beginning of months for you. (Moses and Aaron, tribe of Levi, i.e. not only Judah) It is to be the first month of the year to you." Deuteronomy 16:1 "Observe the month of ABIB" (AVIV)=green Abib (a'-bib) see also Tal-Abib Strongs (abib) 24. Exodus13:4 "...day you came out in the month Abib..."
Exodus 23:15 "...time appointed of the month Abib..."
Exodus 34:18 "...in the time of the month Abib..."
Deuteronomy 16:1 "...observe the month of Abib and keep..."
the earth, i.e. Spring time. On the tenth day they were to take a lamb, so if they knew when the tenth day was, they would have known when the first day was. They had a calender. Can we know today when the first month of the year starts? 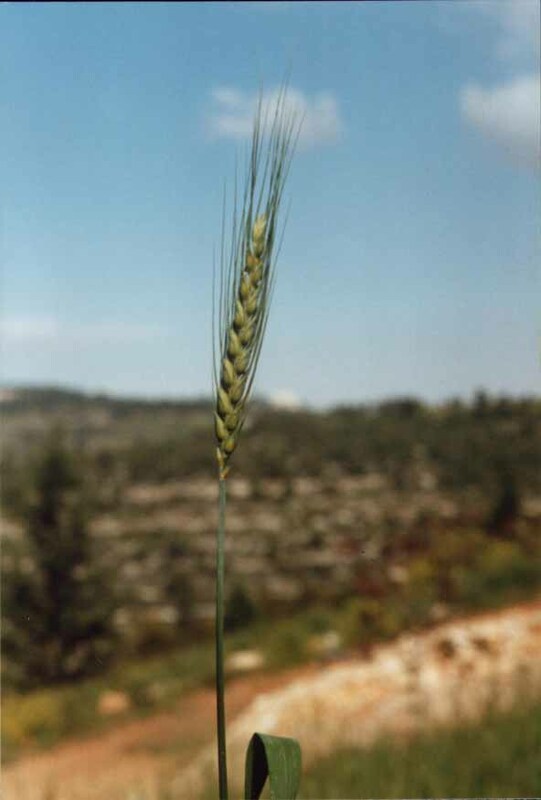 (Rosh Hashana) This month is the only month YHWH gave a name to, Abib or the season of spring, or green ears. This season, being in spring, should be calculated after the Vernal Equinox, i.e. the beginning of Spring time, after that moment (Equinox) when the day first begins to become longer than night.